THE search for a missing 13 year old boy is underway in Istan. A Guardia Civil helicopter and a dog handlers unit are currently searching the area in the mountains above Marbella for the boy named only as Cristian. The child has been missing since last night and posters have already been put up in the area. Cristian was wearing a a red t-shirt at the time he went missing. 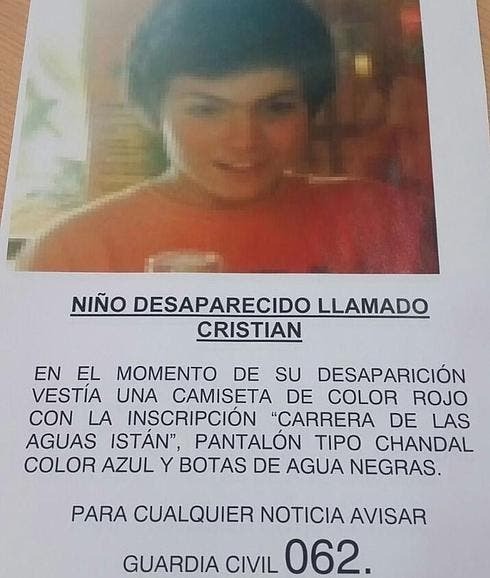 Cristian was found at 4am this morning (5 May 2015) – hiding in a rural house. He is in good health. I just read that he has now been found.